Are you uncertain on how close you should space your spinach plants? You love eating fresh spinach and you went out and maybe bought some seeds. You might be curious if it is easy to plant Spinach. You will learn these 4 fundamental tips about spinach plant spacing. You will not only learn the requirements for each, but you will also know the reason why these requirements are ideal. This added knowledge may also help you with other plants. Read on and we will help you decide the best spinach plant spacing tips so you can plant spinach like a boss. Let us define a garden so you know if this is for you. A garden can range from a small section in your yard to a sizeable plot of land. The requirements are the same for each. However, your row sizes may vary depending on your needs for equipment to plant, maintain and harvest. Let’s start with a smaller garden space. The spinach plant seed packets were written for medium gardens to big farms. The requirements that are typically listed there will be ideal for your space. You want to plant each seed approximately 3 to 6 inches apart. The reason why this has a range is that the size of the spinach plant may vary. Most spinach plants have a diameter of about 4- 5 inches when they are ready to harvest. You can harvest the spinach plants earlier for baby spinach, so that may be a smaller diameter. A classic farm or good size garden plot will need to have ideal sized rows in between the spinach plants. A row is needed so you can safely plant, weed, water, and harvest your spinach plants. The soil where the spinach plants must remain pretty much undisturbed. The soil should be almost loose and frilly to allow for the spinach plants roots to grow efficiently. Having wide enough rows gives you this needed access to the spinach plants. The typical row spacing for spinach plants is between 12 and 18 inches. Do you need to use a vehicle to harvest or plant? Are you able to safely harvest and maintain your spinach plants by foot? Keep these questions above in mind when you plan your garden spacing for spinach. You may find you only need 10 inches in between rows because you are just awesome on foot when you care for your spinach plants. Check out this guide here for more information on planting spinach in a home garden. Square foot gardening is all the rage these days. A square foot garden is a method of utilizing a square foot spacing for each plant. Let’s say you have a garden area of 4 foot by 4 foot. You would have 16 square feet or 16 mini square areas to plant your vegetables in. Each square foot garden area is 12 inches by 12 inches. Sticking with the spinach plant spacing guidelines you could plant a total of 9 spinach plants in each square foot area. You are leaving approximately 4 inches diameter spacing between each plant. 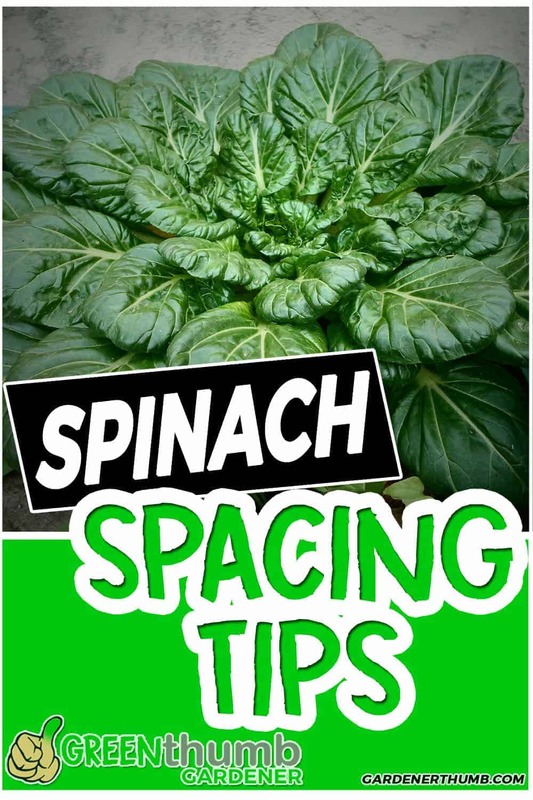 A quick and easy way to help you get your spinach plant spacing right in the square foot is to draw 2 horizontal and 2 vertical lines that are equally spaced. This will give you nine mini squares to plant your spinach seeds in. You will place each spinach seed in the middle of these mini squares. This method by far is one of the easiest and simplest methods since you can draw these grid lines. Keep in mind that you need to be able to reach in to plant, maintain, and harvest your spinach plants so you really can only have a maximum of 4 square feet if can access them from opposite sides. This can vary if you can only reach so far, so keep this in mind when you plan your square foot garden area. Planting spinach in a container is an excellent way to enjoy this wonderful vegetable. You can easily figure out the spacing for your container with a few simple rules. Keep in mind that these are recommendations based on our experience. Container gardening can vary a bit depending on your needs, so use these tips as a guide. The size of your container will ultimately determine how many spinach plants you can place in it. You will need to plant each spinach plant to give them spacing of about a 3-5 inch diameter. The bottom range of 3 inches is ideal if you are planning on baby spinach greens and harvesting them much sooner. 5 inches is ideal spacing for the fully matured spinach plants. Let’s say you have a container of approximately 14 inches round in diameter. You would account for approximately 4 inches for each spinach plant, so you can plant maybe 9-11 plants. This is a rough estimate because you may have an oval, round, square or rectangular container. Use your best judgment of spacing them about 4-5 inches apart as it depends on the size and shape of your container. Another possibility is you may also have other plants in your container to make it more artful and eye pleasing. This may play a factor when determining the spacing of your spinach plants. Experiment with this to see how well your spinach plants grow with your varied plantings. Container gardening is such a wonderful way to help you learn ideal spacing requirements for vegetables. 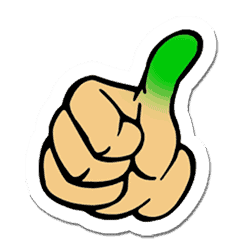 Intensive gardening is really a way fo gardening where you maximize the spacing in your garden to give you the best yields. This is very similar to what square foot gardening is, but you may not be so rigid. By far, this type of gardening does take some more knowledge but don’t let that discourage you from trying it. Spinach plant spacing in an intensive garden will vary greatly than the other methods. The reason is that you may mix in different crops in between your plants. The general idea to get the most bang for your buck in spacing. This way is probably the closest to how nature works. You may want to stick with 4 inches of diameter to be safe, but push the bound and go to 3 if you are daring. Try to plant lettuce and spinach together and harvest the greens when they are young so you spread your seeds pretty thick. Keep in mind you want to place a few spinach plants between other different vegetables to cover the gaps. Truly this way of gardening is very freeing and takes more creativity. Experiment with your spinach plants to help you gauge the right spacing for them. Try different spacing of your plants and see how much you can harvest. Take notes of what worked and didn’t work so you can vary it accordingly the next time you plant spinach. Please post in the comments below thoughts on this type of gardening. Keep in mind that determining the ideal spacing for spinach plants is not a hard fast rule. Nature does not work that way. In fact, nature is much wilder than the back of a seed packet. The natural selection may help your plants grow stronger. Say you plant much closer than 3 inches apart. The spinach plants may fight for the water and nutrients as they are crowded. This survival of the fittest may result in healthier plants as the weaker ones may not grow as large as they are crowded out. This spinach plant may be better adapted to the environment. Your spinach might be tastier because of this or you may get more yield in a denser planting. Nature has a funny way of adapting to different environments. Don’t be afraid to try out different ways of spinach plant spacing after you get more accustomed to growing. Your results may surprise you. 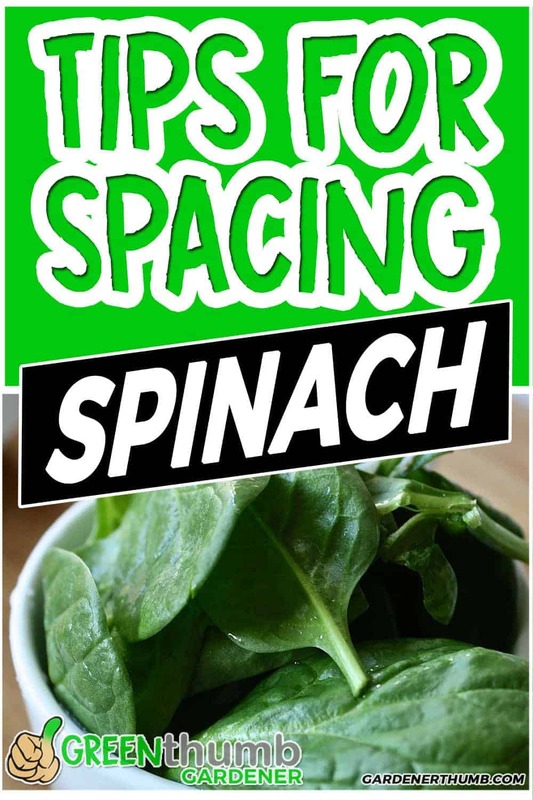 Check out this monumental guide here if you want more information on planting spinach. What are the watering requirements for spinach? – Spinach needs to be watered about 1 to 1.5 inches per week. Do spinach leaves grow back? – Spinach leaves will regrow as long as you leave about 2 inches of stem from the ground. It should take about 3 to 4 weeks to regrow. Is spinach still good after it goes to seed? – Spinach typically is not harvested once the plant goes to seed. This is called bolting when the flowering stalk emerges from the center of the spinach plant. The spinach greens are usually bitter at this point. 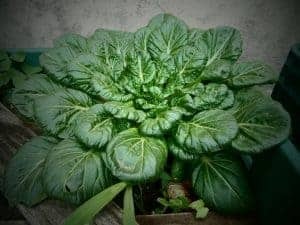 Check out this post here for more info about harvesting spinach.